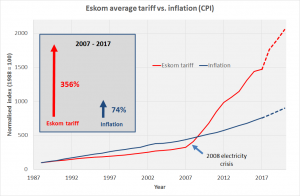 Eskom can not seem to stay out of the headlines these days and in this article we would like to articulate the seriousness of the extreme incline in tariffs over the past few years and all this despite the state owned company desperately struggling with infrastructure externally as well as internal structures. 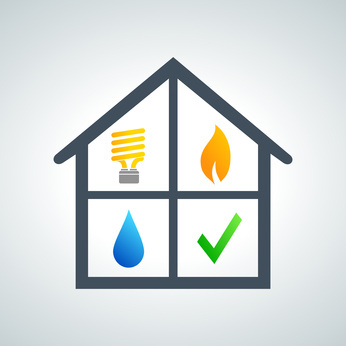 The price for electricity has dramatically outmatched inflation over the past decade. 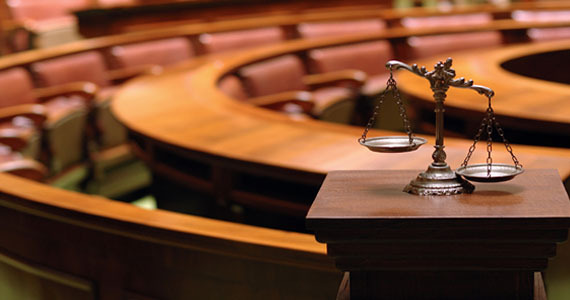 Eskom recently won a court case which would allow them to recover losses or ‘under-losses’. 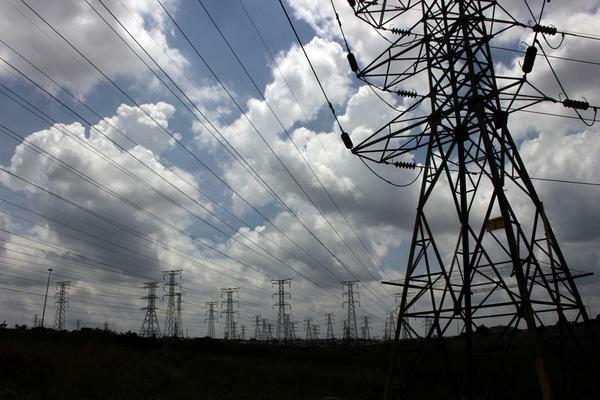 They have also applied to NERSA to increase their tariffs by 45% over the next 3 years. NERSA has begun public hearings with regards to this over the next three weeks. 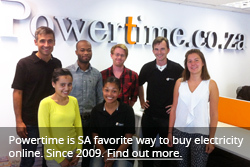 Courtesy of Sean Moolman, PowerOptimal. 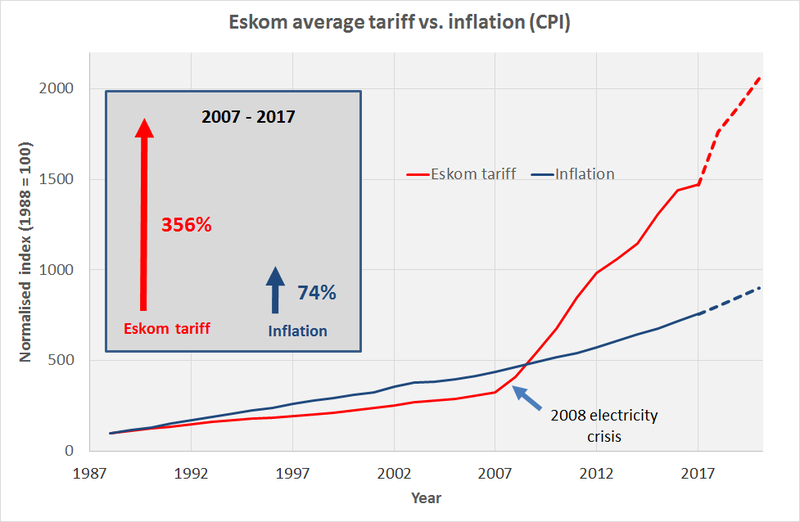 As the image shows, over a period of 10 years, the price of electricity in South Africa has massively out performed inflation in a study done by Sean Moolman, the price of electricity has increased by around 356% whilst inflation has increased by 74% over the same time period. That means electricity prices has increased 4 times faster than inflation. 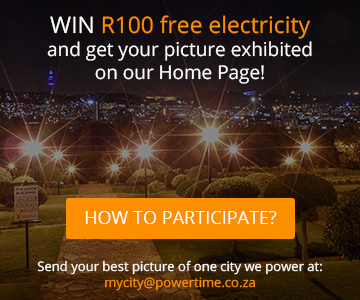 This, together with the any future tariff increases will have a huge impact on the cost of living, and would definitely decrease the affordability of electricity in South Africa.